Maynard takes on the competition at The Rumble at the Rocks. Kyle Maynard of CrossFit No Excuses is no stranger to adversity, and when the CrossFit Sectional qualifications rolled through his neck of the woods, he wasn't about to let a chance to compete pass him by. Athlete profiles, workout reviews and more. The Georgia Sectional took place on the weekend of February 27th and 28th in Stone Mountain, GA. Again Faster was there, camera in hand to capture the event. A full report from Giardina from the South East. All the news that's fit to print from Georgia. The Georgia sectional is right around the corner, taking place at the Stone Mountain National Park, Feb 27-28. 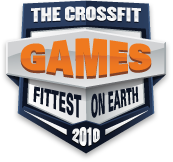 The WODs have just been released and look to challenge even the most well rounded competitors.